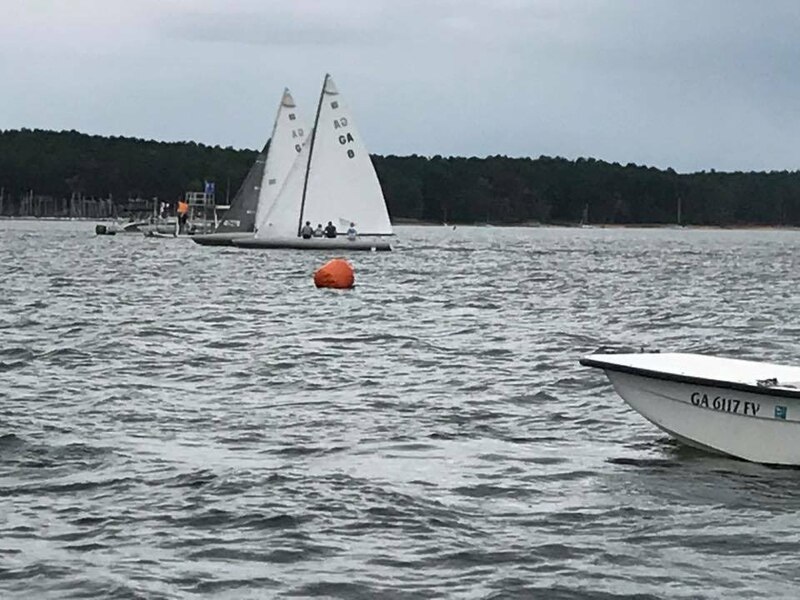 Photo finish at the Dirt E Regatta. Eli Putnam and Ed Durant played hard with each other with tacking duels and exciting tactics.. Eli Putnam ended up with the trophy and Ed very closely followed. Thanks to all for a great race and regatta.